Tour this country that charms with its culture, heritage and diverse landscapes. Visit ancient temples, explore dense rainforests and relax on tranquil beaches. With forested mountains, ancient temples, traditional villages and large modern cities, South Korea fascinates visitors with its diversity. Shop in designer boutiques, travel through underground caves, drink tea with the locals and embark on mountain hikes. Seoul straddles the Han River and is surrounded by mountains. 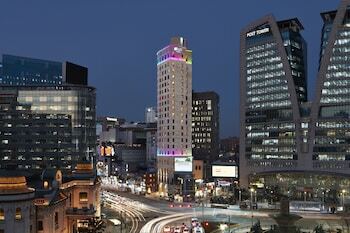 The country’s business, cultural and economic hub has been South Korea’s capital for more than 600 years. 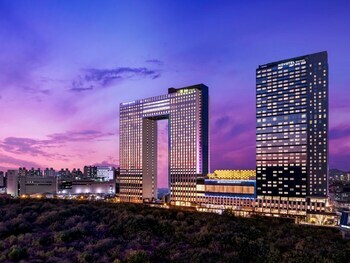 Well-preserved ancient palaces, temples, shrines and monuments stand alongside modern skyscrapers, mega shopping malls and entertainment complexes. Explore the many historic sights of this modern city. Tour the 14th-century palaces of Gyeongbok Palace and Changdeok Palace. The Great South Gate is one of the main gates of the old city. Shop for handcrafted souvenirs and antiques on the streets of Insadong. Enjoy a steaming mug of omija cha in one of the neighborhood’s traditional tearooms. 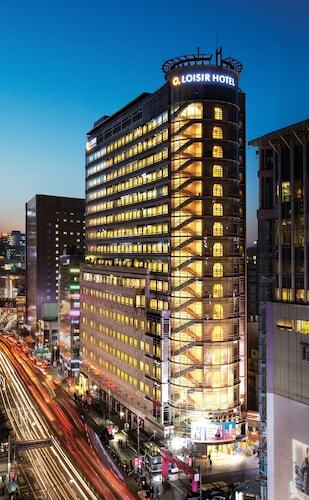 Browse upmarket boutiques in Gangnam, the district made famous by the global hit song, Gangnam Style. Dine in European-style cafés and restaurants serving Asian cuisine in the Samcheong-dong district. Seorak-san National Park is a vast protected area of mountains, forests, beaches and temples, a 3-hour drive from Seoul. Hike on trails that take from under an hour to three days to complete. Look for the park’s wildlife, such as the long-tailed goral and musk deer. Relax in the therapeutic waters of Osaek Hot Springs. Visit Busan, the country’s second-largest city, to sunbathe on its beaches. Go on a guided tour of the Demilitarized Zone, the fortified border between North and South Korea. Venture through lava tubes in the volcanic Jeju Island’s caves formed by flowing lava. Although South Korea has airports in several cities, most international flights arrive at Seoul’s Incheon Airport. To get between cities, use the efficient and extensive bus and train networks. Some major cities have metro and light rail systems. Alternatively, rent a car. With great natural diversity, modern cities and a rich culture and history, South Korea offers the traveler numerous choices. The volcanic Jeju Island has an otherworldly charm, with ancient villages, a wealth of natural beauty and quirky museums and attractions all awaiting discovery. Take incredible photos against the unmistakable background of this bridge, which is an architectural triumph that is stunning by night and by day. 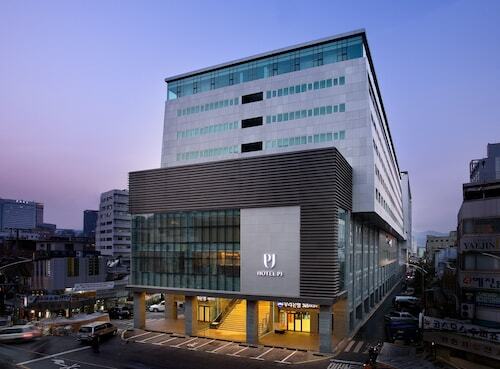 This family-friendly Seoul hotel is located in the business district, within 2 mi (3 km) of Gwanghwamun and Bukchon Hanok Village. Ewha Woman's University is 2 mi (3.3 km) away. 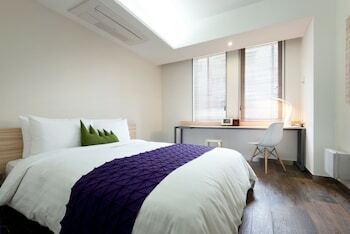 Located in Myeongdong, this hotel is within 3 miles (5 km) of Gwanghwamun, Bukchon Hanok Village and Ewha Woman's University. 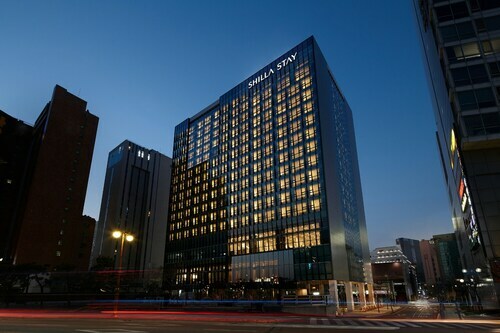 Situated near the beach, this luxury hotel is 0.6 mi (1 km) from Orangdae and within 6 miles (10 km) of Haeundae Beach and Paradise Casino. Cheongsapo Daritdol Observatory and Busan Aquarium are also within 6 miles (10 km). 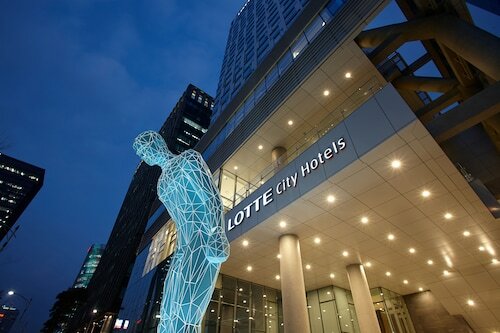 Located in Myeongdong, this hotel is steps away from Myeongdong Nanta Theatre and Myeongdong Street. Namsan Park and Gwanghwamun are also within 2 miles (3 km). 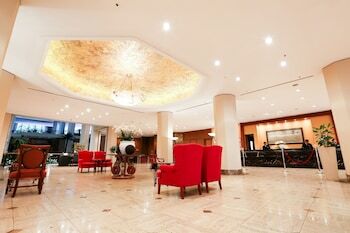 Located in Haeundae, this hotel is within a 5-minute walk of Busan Aquarium and Haeundae Beach. Paradise Casino and Busan Exhibition and Convention Center are also within 3 miles (5 km). 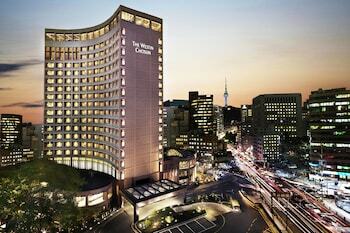 Located in Myeongdong, this hotel is within a 10-minute walk of Myeongdong Street and Namsan Park. Seoul City Hall and Gyeongbok Palace are also within 2 miles (3 km). 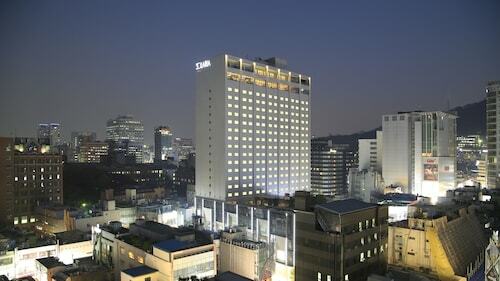 Located in Jung-gu, this hotel is within a 15-minute walk of Myeongdong Street and Namsan Park. Seoul City Hall and Gyeongbok Palace are also within 2 miles (3 km). Suvarnabhumi Intl. - Incheon Intl.